Dies R Us: "Tag" it's almost Christmas! Happy Thursday everyone! Robin here with my design of the week for Dies R Us! This online store is the "Best" place to shop for all your die needs or wants! 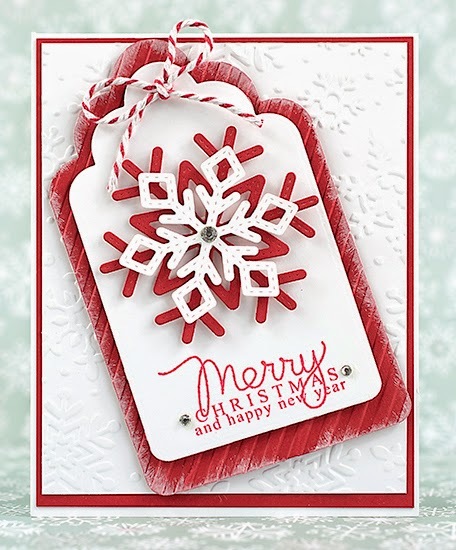 For this "Tag" card I embossed a piece of white cardstock with a Snowflake embossing folder from Taylored Expressions. I then cut two tags using Taylored Expressions Tag Stacklets 1, the red tag I embossed on the diagonal with a stripe embossing folder and sponged the edges with white ink. The white tag was stamped with my sentiment and layered onto the red tag with foam pop ups. I cut my snowflakes using the Lawn Fawn Stitched Snowflakes die set, layered them together as shown and then added to my tag with foam pop ups. I added a cute bakers twine bow and a few small gem stones to finish the card. As always, if Dies R Us is out of stock on a die, add your name to the out of stock form and you will be notified as soon as it is back in stock! Robin, I LOVE this card! 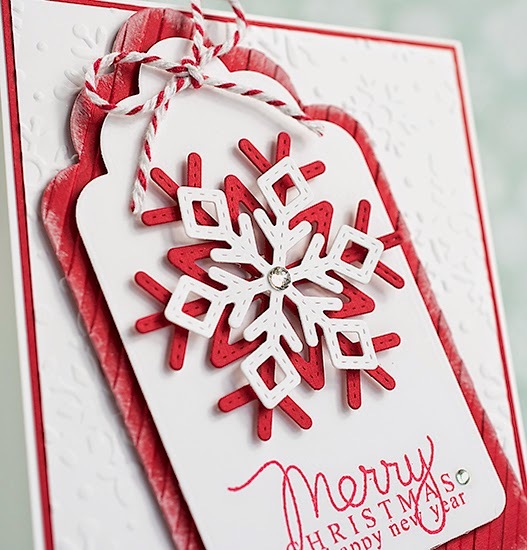 Using this gorgeous tag for the front of your card was brilliant & that snowflake is perfect! What a great idea! Fantastic idea Robin and it's beautiful! Fabulous tag card, it turned out beautiful! Very pretty tag card Robin!! !